Michelle Obama just won a Grammy for Best Wig Snatching after making a surprise appearance at tonight’s award ceremony and leaving all audiences gagging for air. 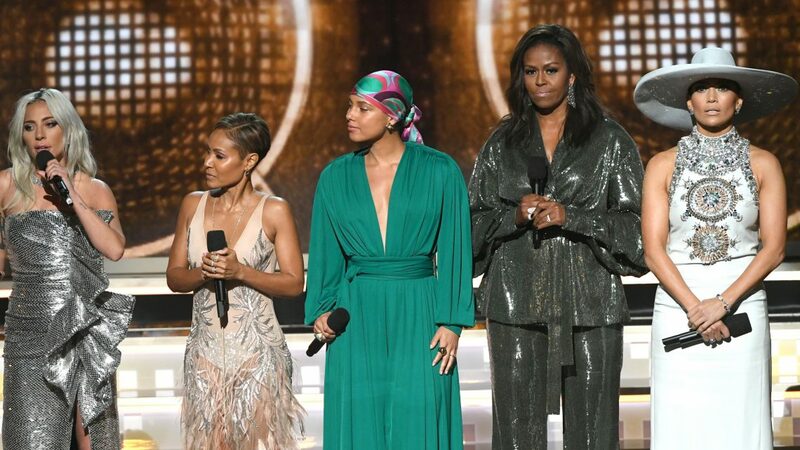 The former first lady made a cameo with a lineup of other boss women: Lady Gaga, Jada Pinkett Smith, Jennifer Lopez, and Alicia Keys, who’s hosting tonight’s show. 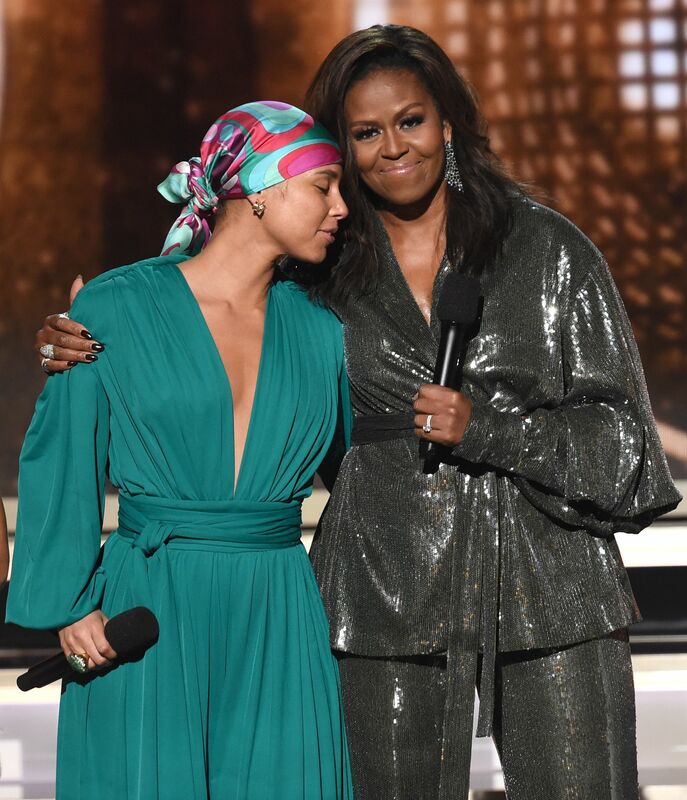 Obama, dressed in a shimmery metallic wrap shirt and matching trousers, received a standing ovation the moment she appeared on stage, holding hands with her fellow stars. 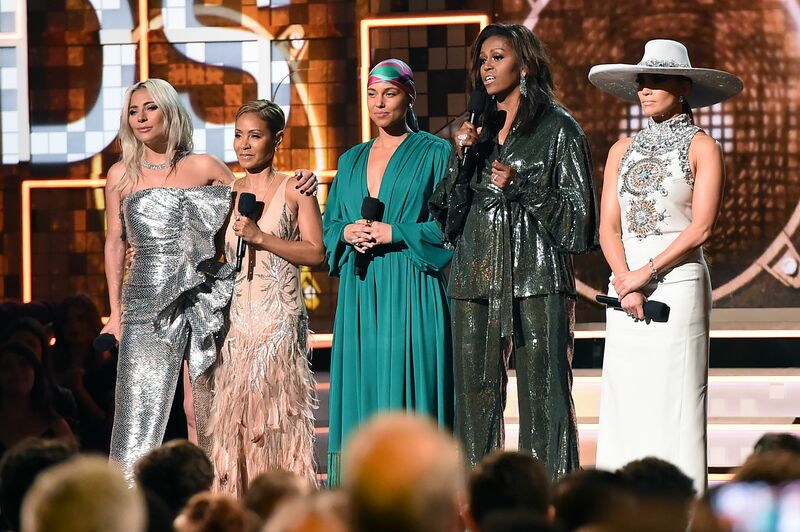 The women took turns talking about how they’ve overcome setbacks to achieve success in their careers, like Gaga, who recalled how she was dubbed “weird” in her younger days. Although the former first lady didn’t directly work in the music industry, she explained that the art form was nonetheless important for her journey. “From the Motown records I wore out on the south side, to the who run the world songs that fueled me through the last decade. Music has always helped me tell my story,” Obama said after the cheers for her died down. “Music helps us share ourselves. Our dignities, our sorrows, our hopes our joys,” she later added. 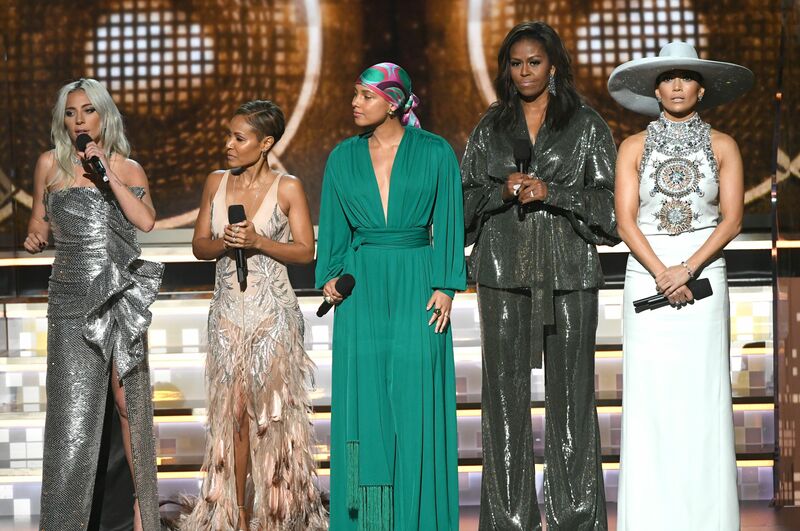 The cameo marked a powerful, woman-centric opening for the 2019 Grammys (Camila Cabello kicked off the show with a killer performance of “Havana”) likely in response to the controversy following last year’s show, where Recording Academy president Neil Portnow said women have to “step up” to win more awards.